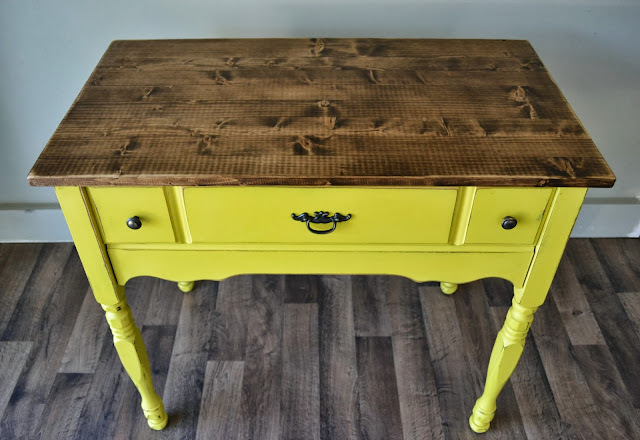 Pictures do not do this one justice! 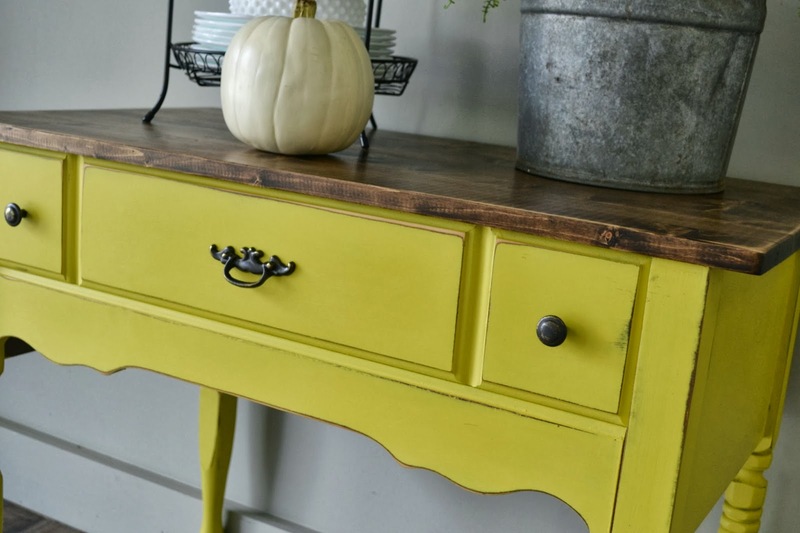 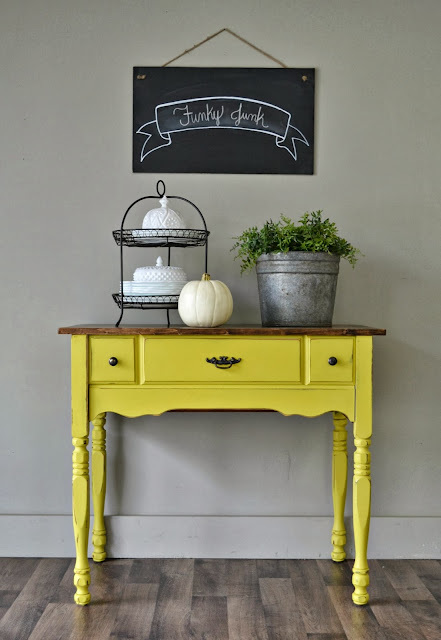 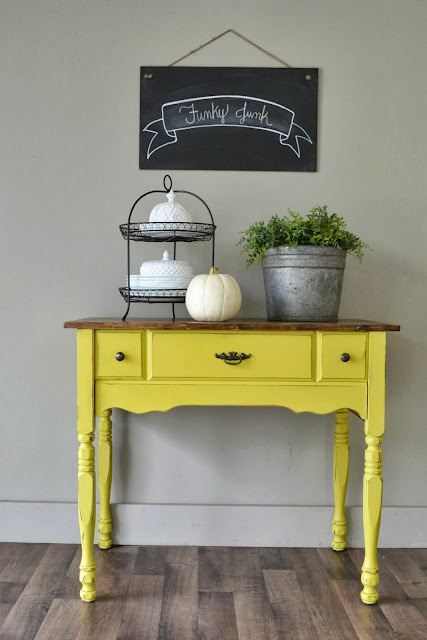 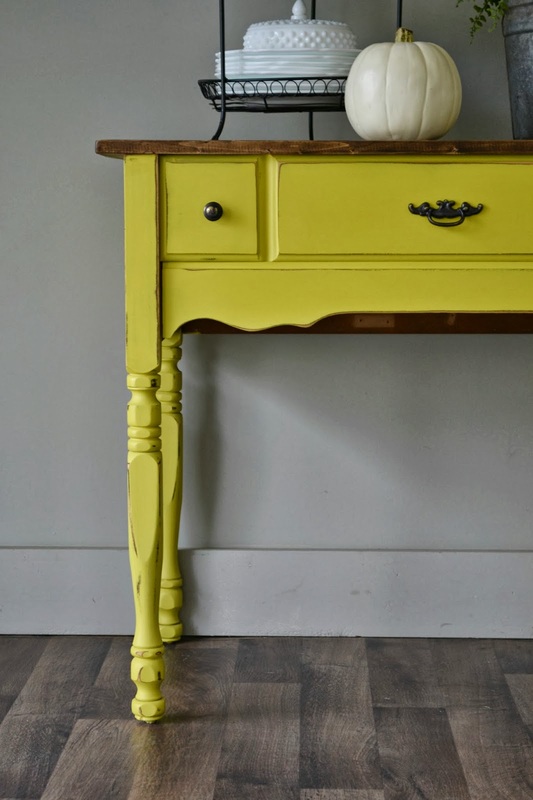 Annie Sloan English Yellow is such a happy burst of color and was definitely the right choice for this fun table. 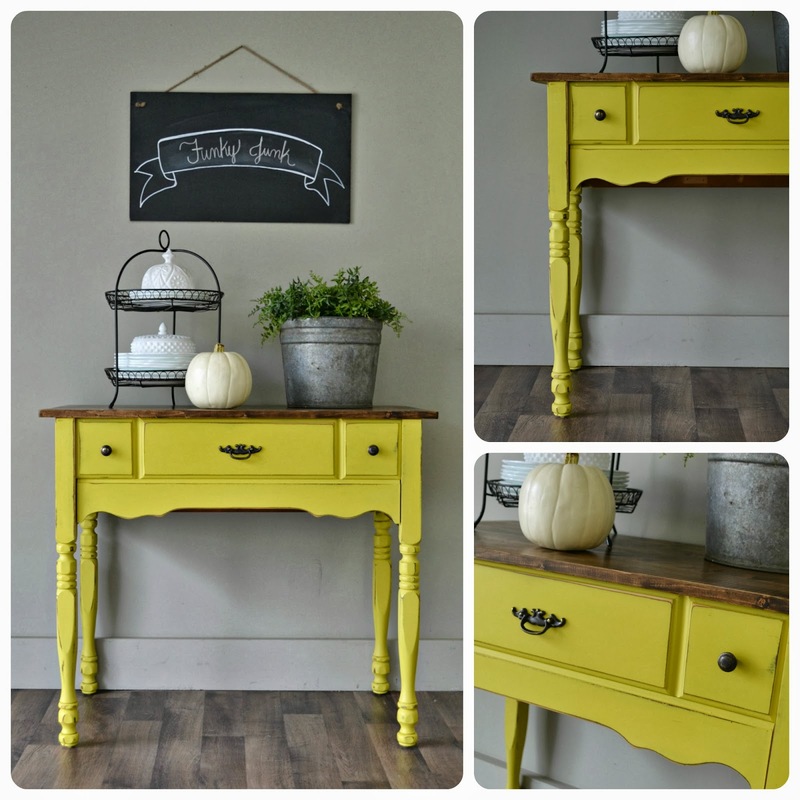 Perfect for an entryway or larger side table, but also the perfect height for a buffet. 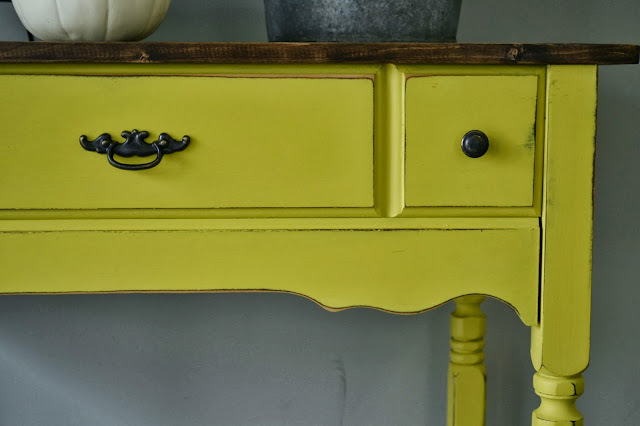 What a Great Site you have! Love your work!